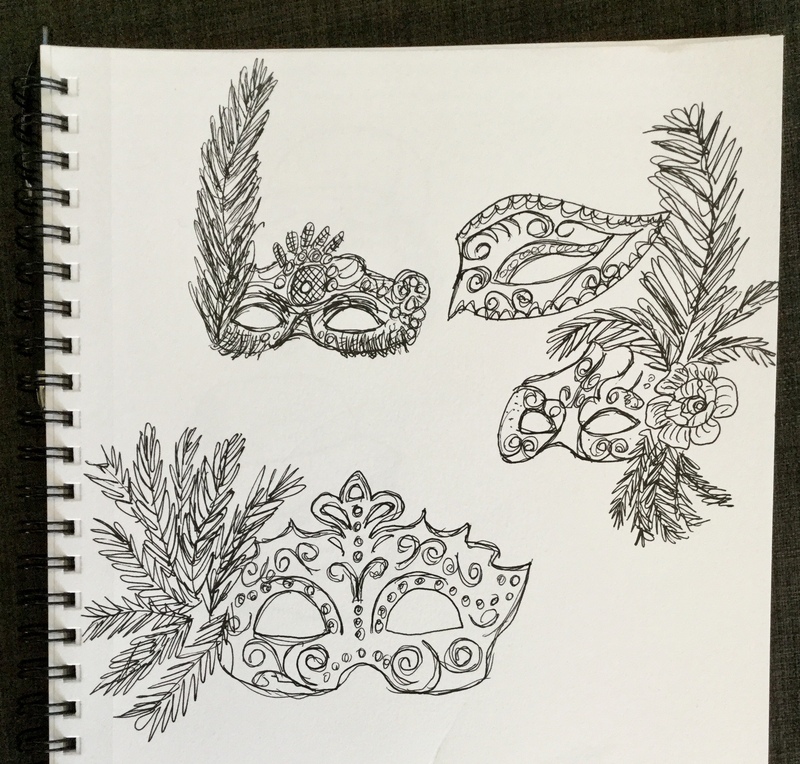 Mask – InkTober prompt day 31. This year I didn’t do a great job drawing every day. Instead I’d do a few drawings to catch up and then let myself fall behind again. I’ve always had trouble working every day. Some days I’m into it and other days I’m busy doing other things. Day 27. Dustin from Stranger Things. He’s my favorite. Day 28. 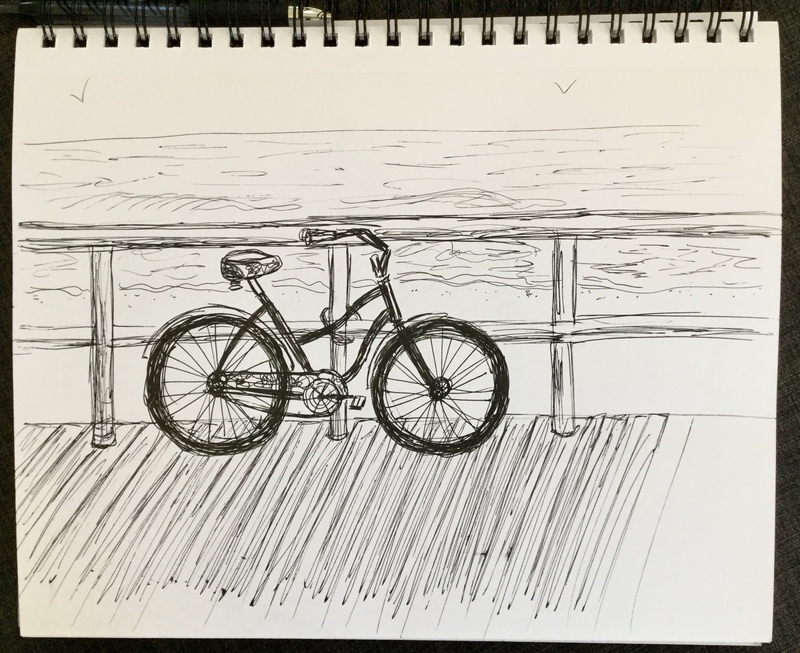 Beach cruiser on the boardwalk. 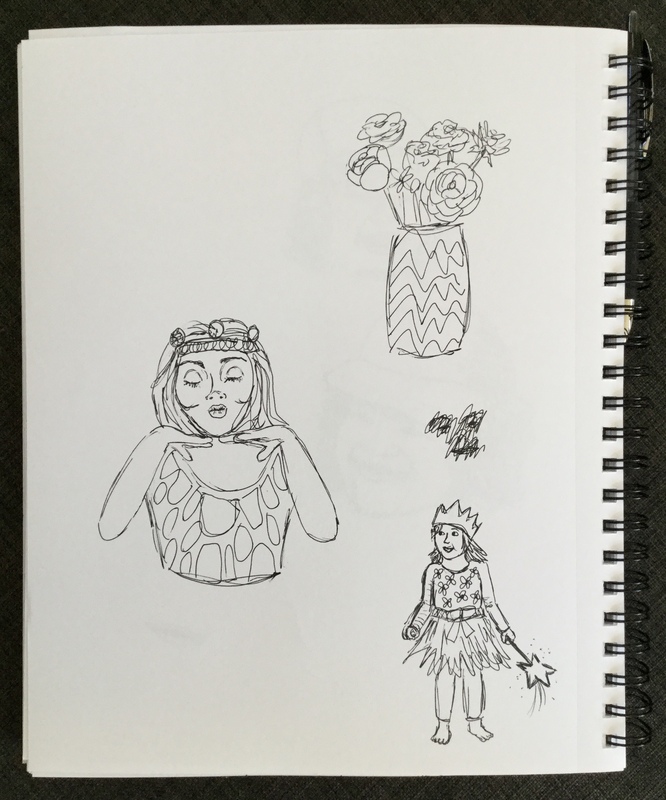 Categories: Pen & Ink | Tags: inktober, Mask, sketchbook | Permalink. InkTober days 25 & 26 in one! 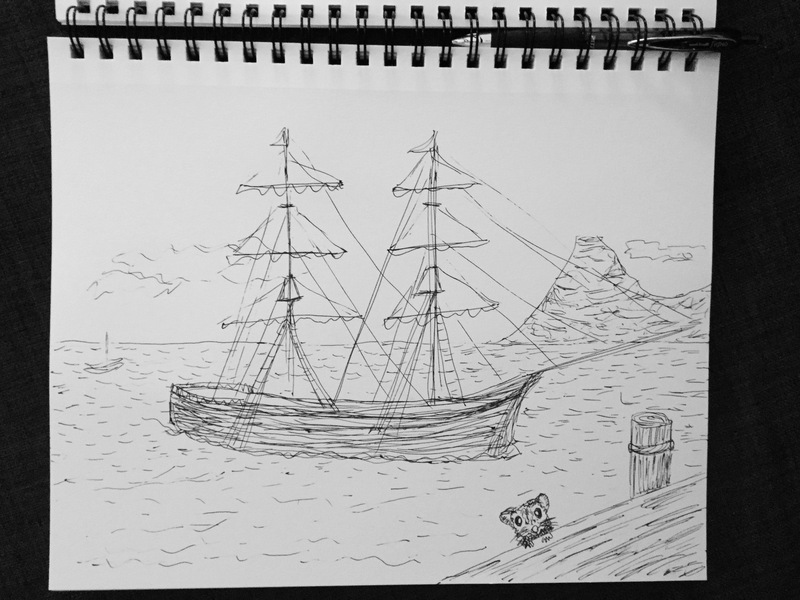 Categories: Pen & Ink | Tags: inktober, InkTober2017, Ship sketch, sketchbook | Permalink. It’s interesting to see what everyone chooses to draw for InkTober, how they interpret the same prompts (if they use the prompts), and even how we all struggle to draw every day. On day 6 I drew early morning with my coffee – some sketches for a “farmers market” print pattern. I swore I would draw later and this wasn’t my InkTober sketch, but in the end I never got back to it. I loved the day 7 prompt of “shy.” I had a picture in my mind of a little girl holding her mom’s leg. Her favorite stuffed animal held tightly. I found an image similar to my vision online to use as reference. Day 8 – crooked. Not a particularly attractive drawing. But this was what came to mind! 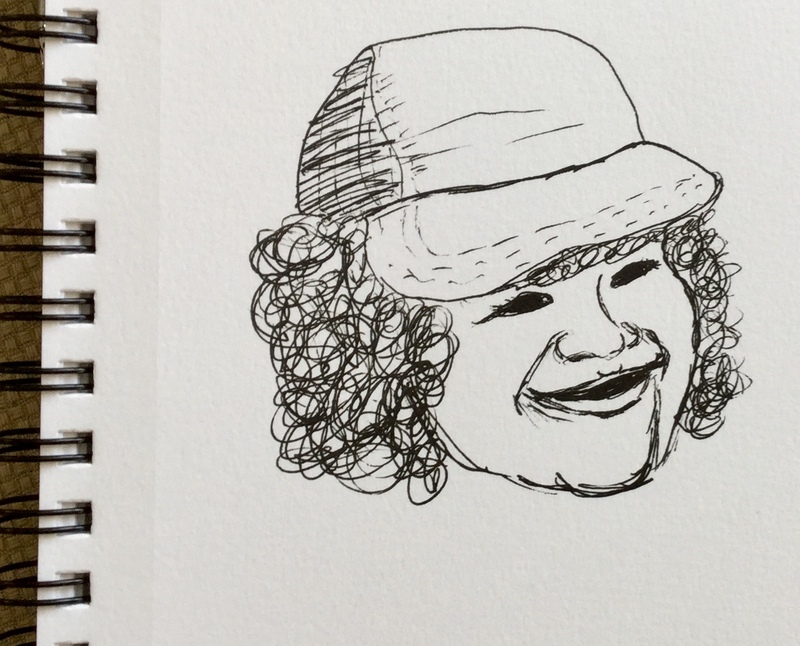 Categories: Pen & Ink | Tags: inktober, InkTober2017, sketchbook | Permalink.